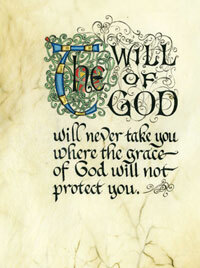 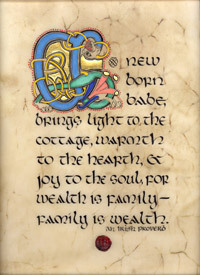 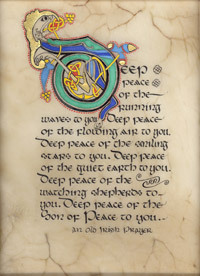 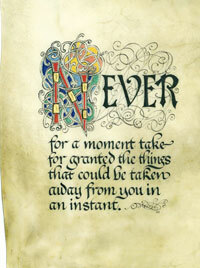 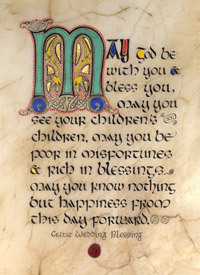 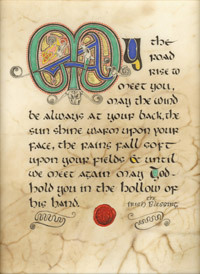 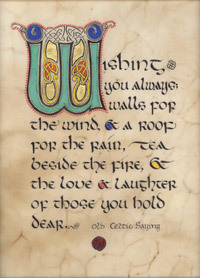 In addition to our prints, Celtic Card Company, features a limited line of special occasion greeting cards. 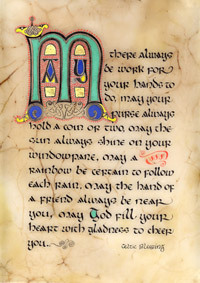 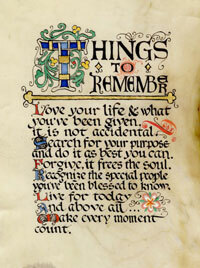 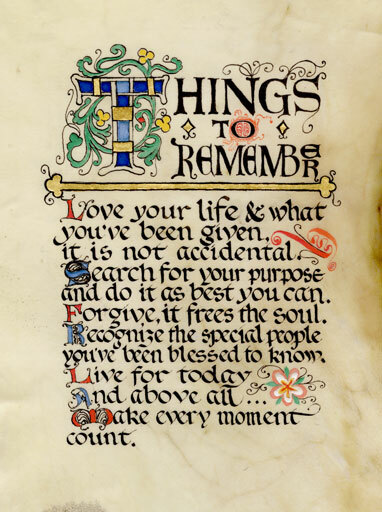 Each is a reproduction from the artist’s original manuscript. 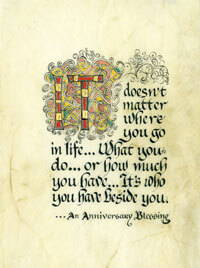 Choose from twenty-two individual designs.